← Honoré de Balzac … a strong cup of black coffee please ! 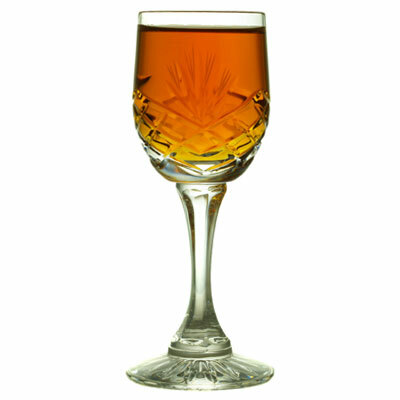 Maya Angelou … Nothing will work unless you do… and a glass of sherry helps as well! 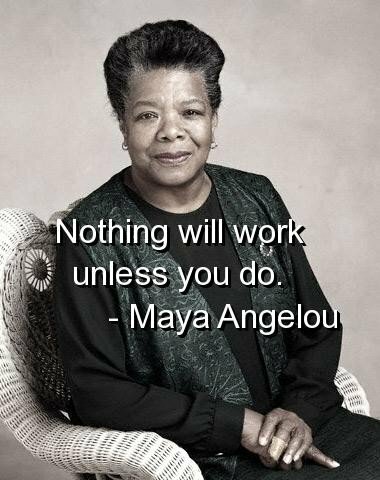 Maya Angelou, born 1928, was an American author, playwright, dancer, actress and singer. 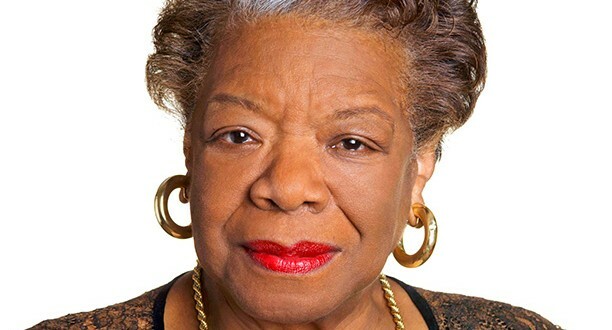 She published seven autobiographies, three books of essays, and several books of poetry, and was credited with a list of plays, movies and television shows spanning over fifty years. 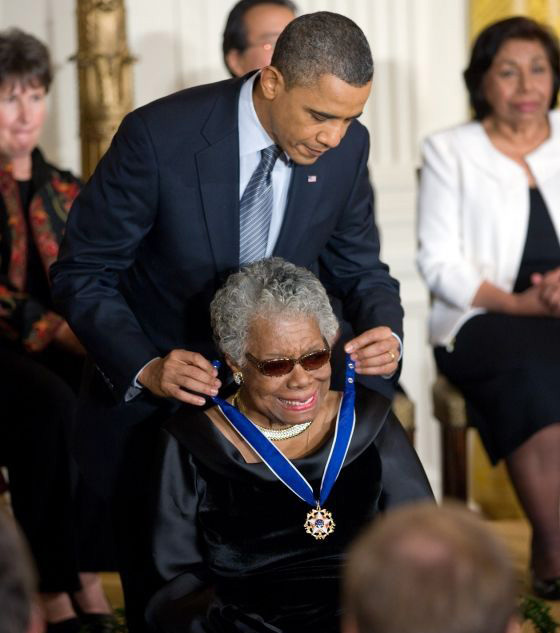 Maya Angelou received dozens of awards and more than fifty honorary degrees. She is best known for her series of seven autobiographies, which focus on her childhood and early adult experiences. The first, I Know Why the Caged Bird Sings (1969), tells of her life up to the age of 17 and brought her international recognition and acclaim. It has sold many millions of copies and holds the record for the longest running non-fiction New York Times best-seller. And in 2011, Time Magazine named it one of the 100 best and most influential books written in English since 1923. Her creative genius did not expose itself without a massive amount of hard work and determination. She was a true master of habits, routines and consistency. 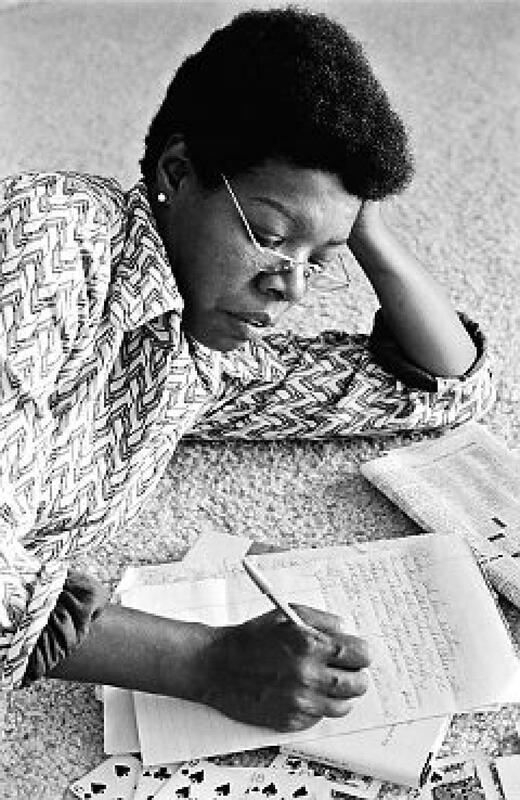 Beginning with I Know Why the Caged Bird Sings, Angelou used the same “writing ritual” for many years. She would wake early in the morning and check into a hotel room, where the staff was instructed to remove any pictures from the walls. She would write on legal pads while lying on the bed, with only a bottle of sherry, a deck of cards to play solitaire, Roget’s Thesaurus, and the Bible, and would leave by the early afternoon. She would average 10–12 pages of written material a day, which she edited down to three or four pages in the evening. I have kept a hotel room in every town I’ve ever lived in. I rent a hotel room for a few months, leave my home at six, and try to be at work by six-thirty. To write, I lie across the bed, so that this elbow is absolutely encrusted at the end, just so rough with callouses. I never allow the hotel people to change the bed, because I never sleep there. I stay until twelve-thirty or one-thirty in the afternoon, and then I go home and try to breathe; I look at the work around five; I have an orderly dinner—proper, quiet, lovely dinner; and then I go back to work the next morning. Sometimes in hotels I’ll go into the room and there’ll be a note on the floor which says, Dear Miss Angelou, let us change the sheets. We think they are moldy. But I only allow them to come in and empty wastebaskets. I insist that all things are taken off the walls. I don’t want anything in there. I go into the room and I feel as if all my beliefs are suspended. Nothing holds me to anything. No milkmaids, no flowers, nothing. I just want to feel and then when I start to work I’ll remember. I’ll read something, maybe the Psalms, maybe, again, something from Mr. Dunbar, James Weldon Johnson. And I’ll remember how beautiful, how pliable the language is, how it will lend itself. If you pull it, it says, OK.” I remember that and I start to write. She enjoyed always pushing herself to the limits of her ability. Her routine and willingness to work for at least five hours a day – even when it was going poorly – is just another indication that great writers don’t wait for inspiration. Thank you Maya. Cheers! 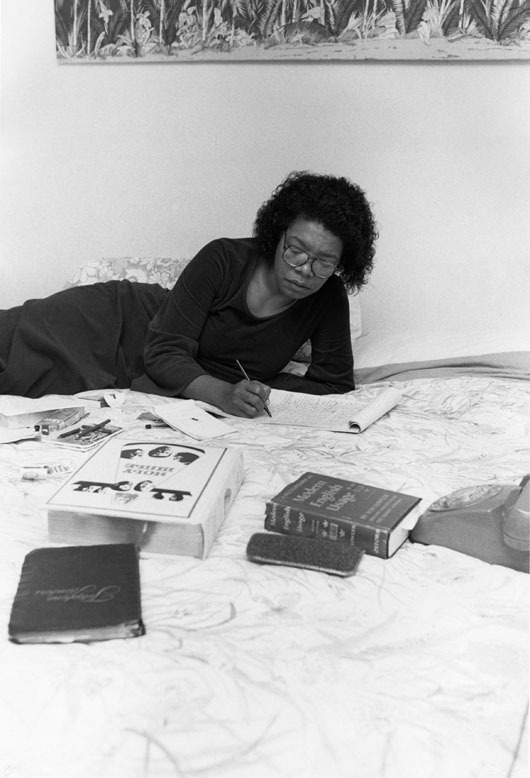 This entry was posted in Writer and tagged hotel room, I Know Why the Caged Bird Sings, Maya Angelou, motel, writing routine. Bookmark the permalink. I have been catching up here and liking as I go. I am reposting this one. Way to good not to.